C/2011 L4 PanSTARRS approaching the Andromeda Galaxy (M31) on 1st April 2013. It is seen here as it faded from its perihelion naked-eye apparition (Magnitude +2) in March 2013 but its dust trail is nonetheless dramatic and equals the angular size of M31. Its visible coma was estimated at a diameter of 120,000 km. 2011 L4 is a non-periodic comet discovered in June 2011 and may have taken millions of years to reach perihelion from the Oort Cloud. 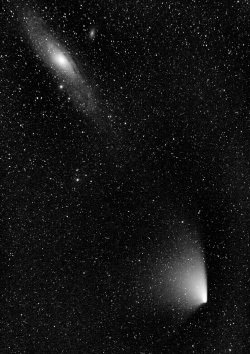 Like many comets, it required several adjustments to predictions of its brightness as it approached Earth and illustrates the importance and interest of regular comet observation, whether of newly discovered comets or regular returners. The DSLR image was taken by Nick James of the BAA's Comet Section. 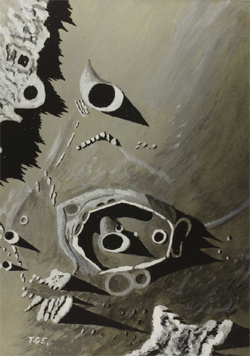 Thomas Gwyn Elger's drawing of moon craters Cassini (40.2°N, 4.6°E) and Theaetetus (37.0°N, 6.0°E), lying on the north-eastern edge of Mare Imbrium. Elger drew the craters on the evening of 4th April, 1892. 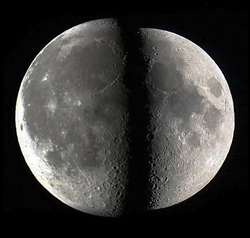 The drawing, with North at the bottom and East to the left, shows impact craters Cassini (below) and Theaetetus (above). The jagged peaks to the South East are part of the Montes Caucasus range and to the North West lies the Promontorium Agassiz, part of the Montes Alpes. Cassini itself has a diameter of approximately 60 km. Elger (1836 - 1897) was the first director of the BAA's Lunar Section and observed from Bedford, England using an 8&half; inch reflector. His extensive collection of sketches and observing notes are held in the BAA archives. Crater Elger (35.3°S, 29.8°W) is named after him. 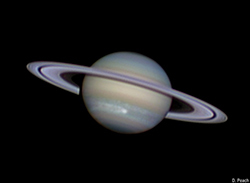 Saturn's great white spot of 2011. 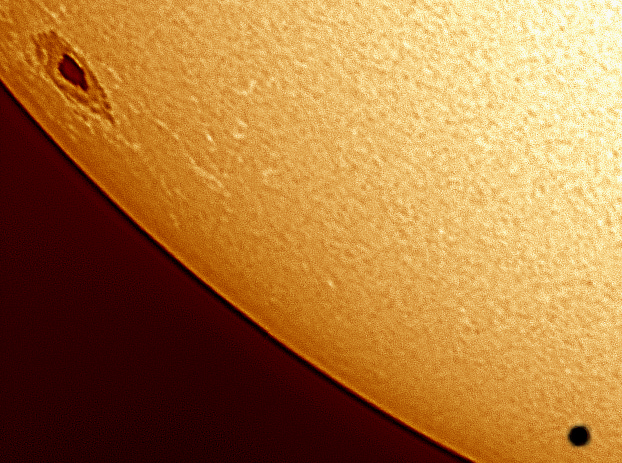 Image taken on 2011 March 21 00:10 UT by Damian Peach using a 356mm reflector and PGR Flea3 camera from Selsey, UK. Processed with Registax and Photoshop. 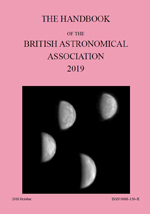 BAA members can download a PDF version of the Handbook from the Downloads option on the logged-in Members menu of the main BAA site. Data which do not change substantially from year to year are shown here. The following diagrams are by kind permission of Xavier Jubier. Hopper - find faint targets at the telescope. 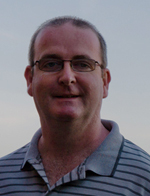 Variable star of the year, p103. 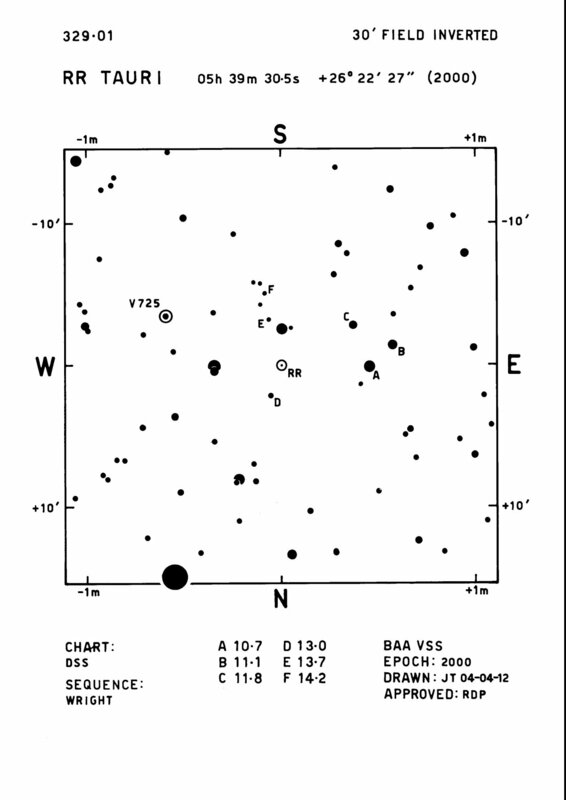 Here is a finder photo of RR Tau annotated from the BAA Variable Star Section's chart. Magnitudes of reference stars are shown multiplied by 10 to avoid star-like decimal points. 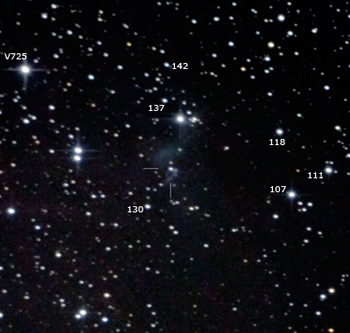 Near top left is another variable star, V725 Tau. North is at the bottom of the photo, East to the right.